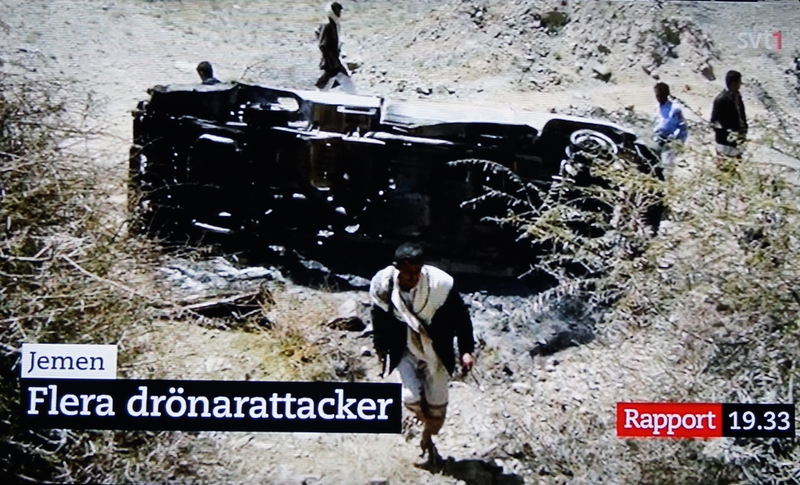 Above, image from Swedish TV news of 20 April, on the US drone attack in Yemen the 19 of April 2014. While conducting research in the subject injury epidemiology at the Karolinska Institutet, I came to the reflexion that the actual number of fatalities in war-related events such as combats or air strikes, are in fact significantly higher than those reported in the “body counting” sites, also used as sources by the media. Concretely, I realized that the figures did not include injured individuals that died after been transported as wounded to other localities, such as hospitals or camps. The demise occurring after, even long afterwards, and as consequence of injures received in the combats or air strikes. In other words, media reports on “war casualties”– in the context of the given combat or air-strike event which is the subject in the report – invariably refer as fatalities only to those who perished in situ and at that very occasion. The findings, which I reported at international Injury Research conferences in Vienna,  and Prag 2004, referred the following epidemiological problematic leading to an underestimation in the assessing of casualties (the findings were further developed in a Karolinska Institutet’s Master thesis by Ime Akpan John): . A particular epidemiological confounding may occur when the variables of the study are ill-defined or the conceptual extension of the entities under study is used in a too broad meaning. One example is if we assign to “casualties” both fatalities and injured victims and in the third part analysis the toll is read as only fatalities ipso facto at the time of the referred armed clash or combat. 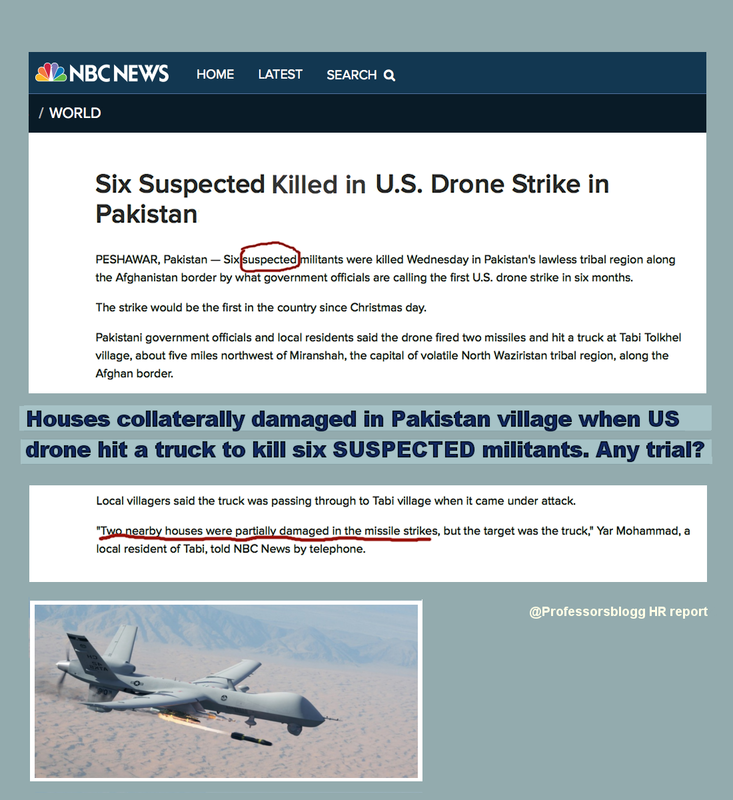 Now, if the above estimating-problem is huge referred to regular military personnel reported as fatalities, it is just logical to conclude that such bias is higher prevalent when referred to civilian populations victims of drone-strikes. This, partly because of the areas targeted commonly correspond a) to countries with poorer hospital facilities or epidemiological administrative services, b) to areas populated mostly by poor people, that due to SEC-factors would have lesser possibilities to have their peers’ fatalities (long time after the injury-event) reported. I argue that a similar situation occurs with the multiple reports in the international Human Rights community trying to assess the impact of drone-strikes amidst the civilian population. The reports refer partly to civil casualties derives from drone-attacks, and partly to the physical collateral damage in the humble infrastructures and habitat of the victims. On the other hand, the wider the number of reports, the more imprecise is growing the epidemiological estimate of drone-related fatalities or drone-related injuries at all. Also, important media outlets and blog reports have focused on this issue. 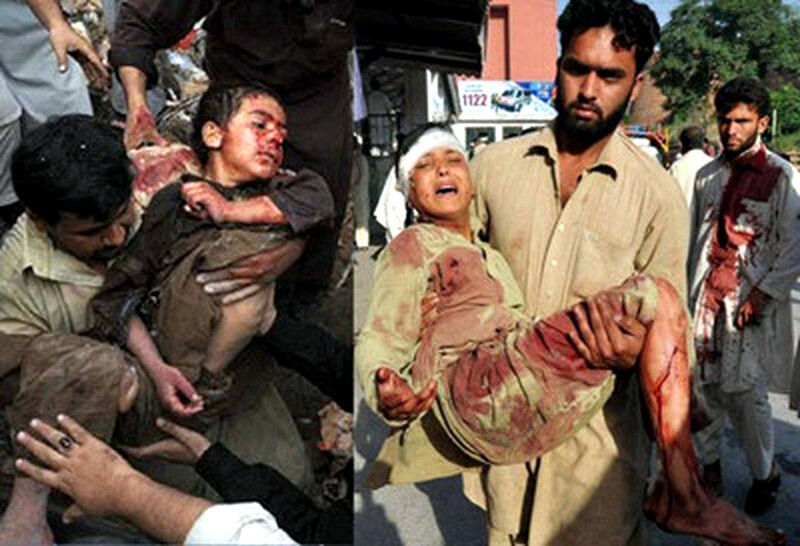 a) victims that died long time afterwards, as a sequelae of injuries received at the strike. 2. I present these figures as a “meta-estimate”, meaning that it corresponds to calculations I made based in the public sources available (See source down below). “Epidemiological Bias in Assessment of War-Related Injuries During Iraq War Between 20th March 2003 To 20th March 2004“. Thesis. Ime Akpan John, MD, PhD. Supervisor Prof. Dr. Marcello Ferrada-Noli. Department of Social Medicine, Karolinska Institutet, 2005. ← Was the reopening of the Sweden case, part of the US request to prosecute Assange by any means? Ironic that a Swede performed this meta- analysis, given the Swedes awarded Obama the NOBEL PEACE PRIZE.